Parked at Wrexham earlier today and still in excellent condition. 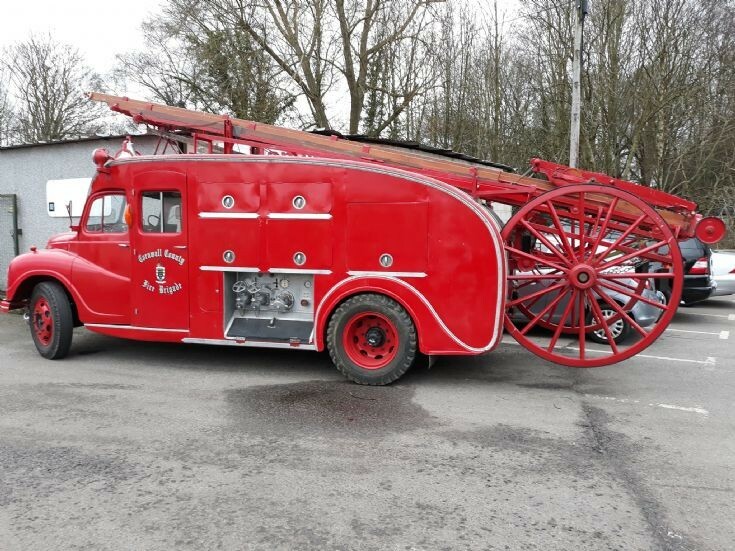 Cornwall was the only county to operate Austin Loadstar appliances - and it is just great that this immaculate example of a very rare machine is so well preserved. Added by Rob Johnson on 17 January 2019. I remember one being on the run in Newquay, in what was even then a cramped fire station in the town centre. Added by Andy Fish on 19 January 2019. It wasn't mate. Oxfordshire and Northamptonshire Fire Brigades also had them. Added by Ronald Henderson on 21 January 2019. Ron: Are there any more survivors? Added by Rob Johnson on 22 January 2019.